When you’re looking for a quiet country getaway, far enough from the city to escape the noise and the lights, but close enough to civilization to have great food and wine, Langley, Washington should be on your list. Located on the south end of Whidbey Island, it’s a half hour ferry ride between Mukilteo and Clinton, with boats leaving on the hour and half hour. 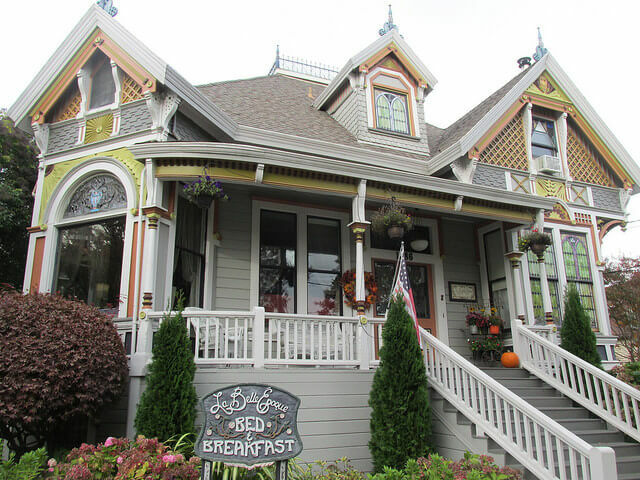 Our getaway was even more country-perfect with a stay at the octagonally shaped Eagles Nest Inn Bed & Breakfast. 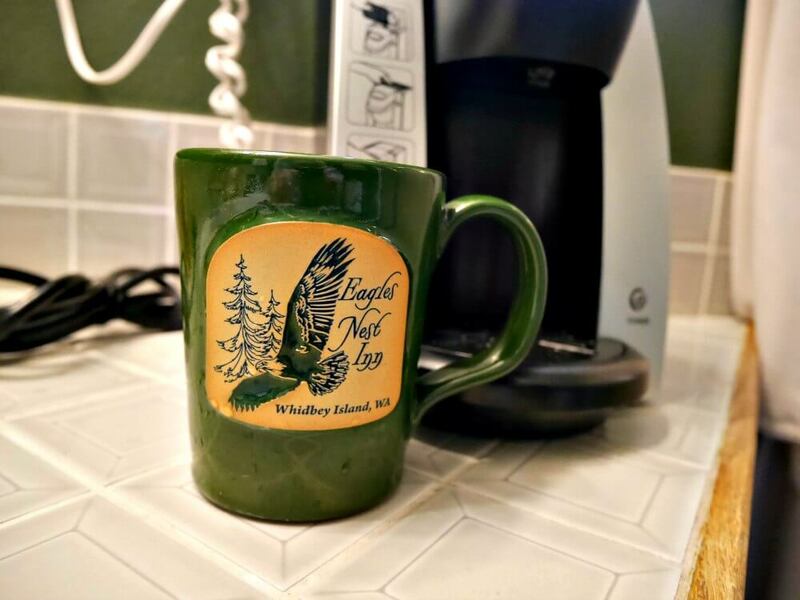 Located at the top of a small hill, and adjacent to a 600-acre wildlife corridor that includes a private forest, Putney Woods trail system, and the Saratoga Woods Preserve, staying at Eagles Nest is about a close to staying in the woods as you can get without camping. 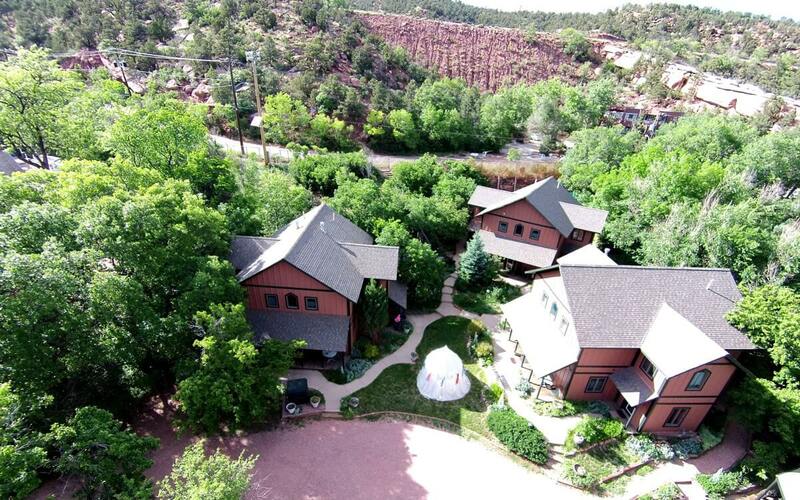 Responsible stewardship is an integral part of the philosophy at Eagles Nest. The property and surrounding forest include some of the oldest second generation native growth on the island and most of the tree species that are native to Western Washington. Guests are invited to participate in the property’s green practices to the extent they feel comfortable as well to lessen the travel carbon footprint of their visit. On arrival, you will be met by Joanne or Jerry Lechner, a delightful couple who purchased Eagles Nest in 1994 after being long time guests. They live in the “home” side of the property and are just the press of the buzzer away if you need something or have a problem. They are both full of knowledge about Whidbey Island, despite being California transplants they’ve obviously fully integrated into the island community, and are great with directions, recommendations on what to do and see, and made valuable suggestions on how to enjoy our time there. The Inn make a dramatic first impression with its cathedral ceiling and fireplace. 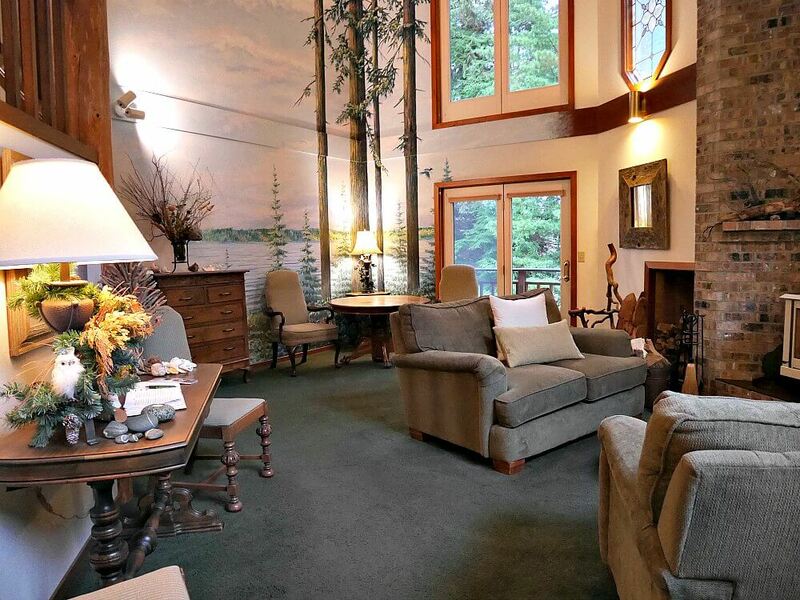 Alongside the fireplace,windows look out to the edge of the forest, and above was a painting of Saratoga Passage. A baby grand piano sits waiting for hands to caress its ivory keys. Regrettably,I didn’t have time to curl up with a book and a glass of wine and enjoy this room, but I hope you don’t miss the opportunity to do that. An additional common area is located on the second level. Although it is referred to as the library lounge, I think of it as the game room. Tables are set up for board games, comfortable chairs are situated around the room, or you can grab the window seat and look out the bay windows at the forest. There is also a snack area that has complimentary beverages (complimentary coffee, herbal teas, cider, and hot chocolate) and delicious chewy chocolate chip cookies. Grab a couple cookies to take up to your room for a late night snack. We stayed in the Eagles Nest Room which takes up the entire third floor of the building. I think it was this room, more than anything else, that made me feel like I was staying in a treehouse. 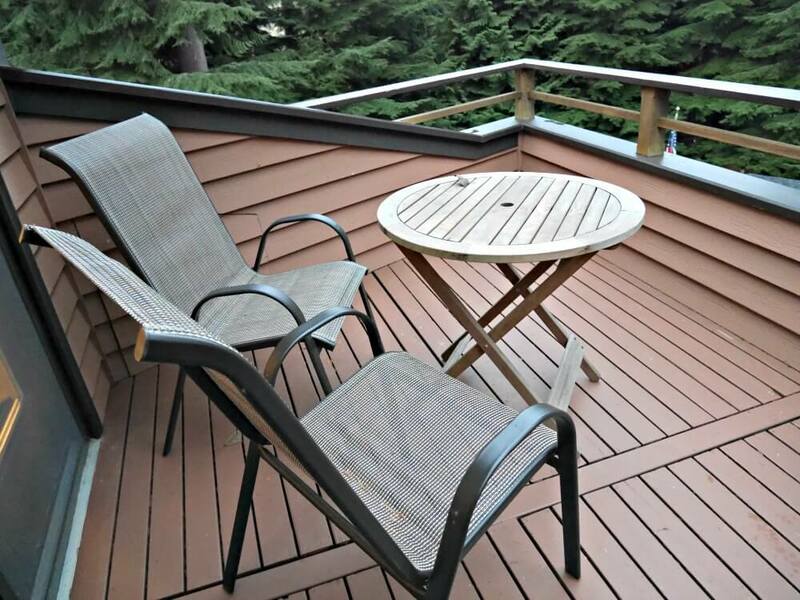 The private rooftop deck has a view of Saratoga Passage, Camano Island, and Mt. Baker, and while we didn’t see any eagles in the trees, I’m told that they often perch in them. Room amenities include complimentary wifi (with a strong signal), binoculars, coffee maker, refrigerator (with glasses chilling inside), ironing board and iron, gas fireplace, and television. Bathroom amenities include robes, bulk products in refillable containers (in keeping with a commitment to responsible stewardship), and hairdryer (a wall mounted version that really needs to be replaced by a handheld version). 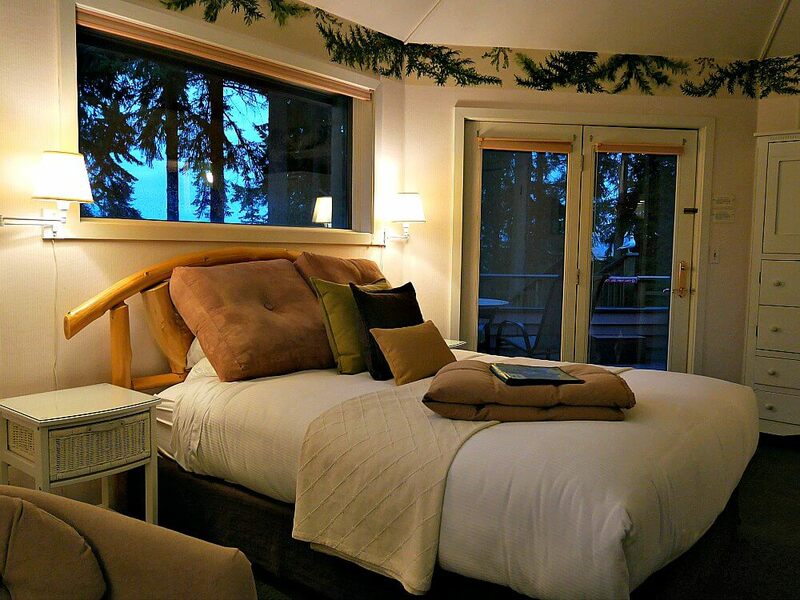 There are three other rooms at Eagles Nest: Saratoga Room (has a water view balcony with swing), Forest Room (has an outside entrance and deck), and the Garden Suite (more like a separate cottage with a view of the hillside and forest, this is the only room that accommodates a third person). All rooms have private baths. 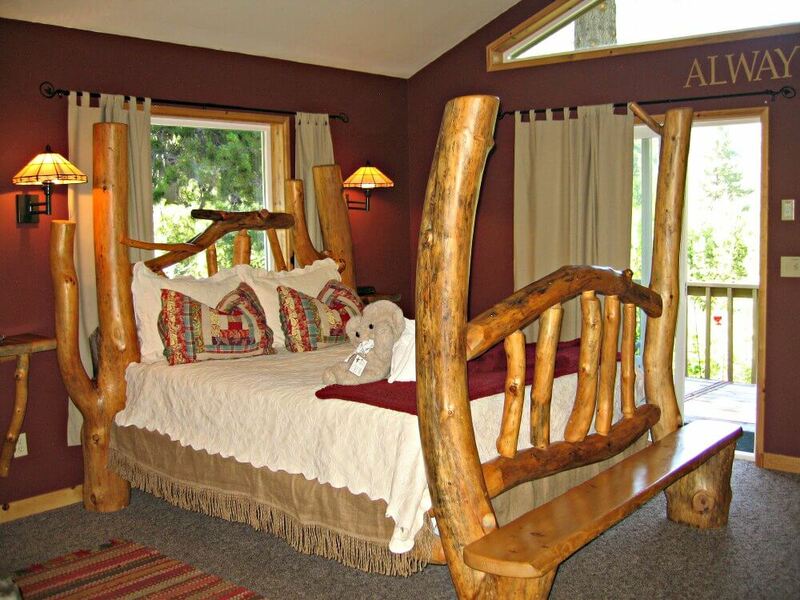 This would make a great getaway with a group of friends, rent the whole place out and enjoy spending time together. Breakfast is served daily at 9 a.m. and, to the extent possible, features locally sourced products. In winter guests gather around the dining room table for breakfast, during summer and nice weather, breakfast is served al fresco on the deck. Menu items from our two mornings include Portobello mushroom omelet, apple dutch baby pancake, sausage, fruit, yogurt, bread, and plenty of locally roasted Mukilteo Coffee. Joining us for breakfast one morning, in the garden just outside the breakfast nook, were a couple of young fawns. If you need to depart early, just let Joanne and Jerry know and they’ll have a breakfast to-go for you. Staying at the Eagles Nest puts you in close proximity (about a mile and half) from downtown Langley, where you’ll want to spend a least a portion of your visit. You’ll find galleries, shops, and restaurants, along with access to the beach. Venturing a few miles more, you’ll find several wineries and tasting rooms, hiking, and more beaches. You’re within 15 minutes from just about everywhere. My favorite dinner was at Orchard Kitchen, a chef’s menu served community style available with wine pairings. 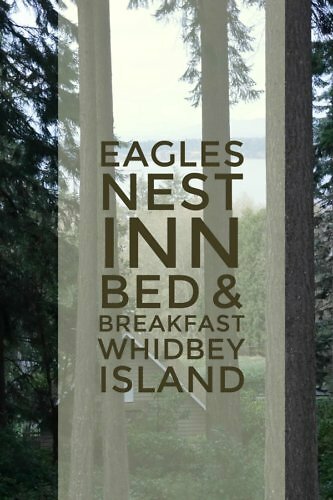 The Eagles Nest is located at 4680 Saratoga Rd, Langley, Whidbey Island, Washington. 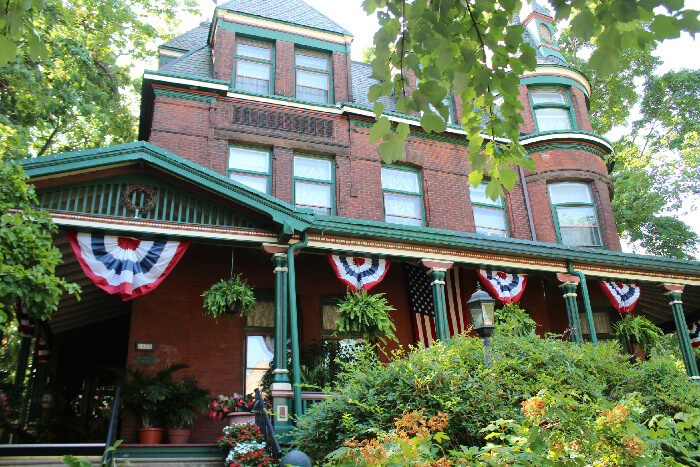 Rates start around $169/night which includes breakfast. The Inn is closed seasonally (December 2016 and January 2017) allow Jerry and Joanne time to take care of maintenance projects or enjoy traveling of their own. Since the Eagles Nest is getting ready to close for the off season, be sure to pin this to your favorite Pinterest boards and refer back to it when you’re ready to plan your stay (and they’re open again).